Be bold. This is the one thing I wish I’d taken to heart earlier in my IT career. Bold is not a personality style. It’s not. It’s a way that we take an action. 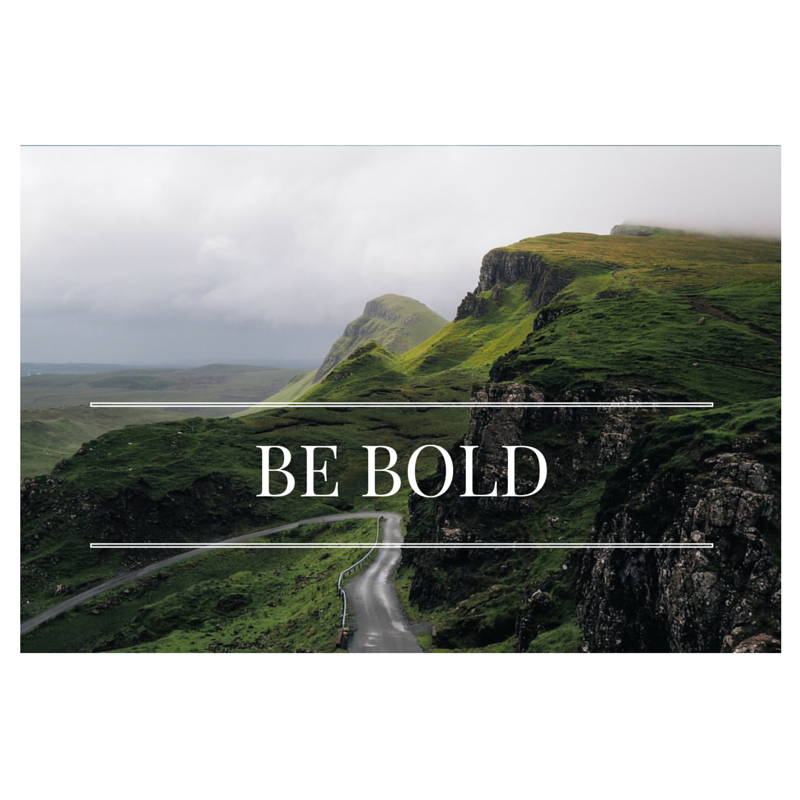 Being bold is not reserved for the brash, pushy, or dominant personalities- anyone can do it. Being bold at the right times will make a difference just making it and thriving in your IT career. Here are 3 key ways you can be bold. Most people try to hide their mistakes- but most people aren’t bold. You have to be daring enough to try things that don’t have 100% certainty of success. You’ve heard the axiom- No risk, no reward. What does this mean for a SysAdmin? It means to make suggestions that are outside of the box. It means to take on projects that are not going to be easy. It means to expose your ignorance by asking questions about things you don’t know about instead of just smiling and nodding. If you do that, you will make mistakes. We’re not perfect. You need to understand this: it’s a business’ purpose to make money. Profit. This is why businesses exist and why you have something to do. Nothing wrong with Social Entrepreneurship- but they have to keep the lights on and food in the fridge. You need to understand that your boss might like you, but his #1 goal is to pay you as little as possible to keep you getting the job done. He doesn’t care if you got a new, bigger car payment, or if you have a kid on the way. These are your business and your responsibility- not his. To get money, you have to ask. Your boss, saving money as he or she is, is not normally going to come to you to give you a $15,000 raise. If you want it, you have to prove that you are worth it at this company or somewhere else. (Here’s an article I wrote on how to get more money). Go for jobs, even if they’re a stretch. You can’t know it all. No one can- not even senior engineers know everything about everything. You have my permission to apply for jobs that you are 70% qualified for. Recruiters get it. That one person that knows all of their technologies and architecture to replace the guy that just left is not out there. Don’t tell me there aren’t IT jobs. Don’t tell me there aren’t IT jobs for entry level guys. It’s not true and I’m sick of hearing it. They’re out there- just don’t give up looking too soon. Remember, anyone can be bold. Take a breath and take action.